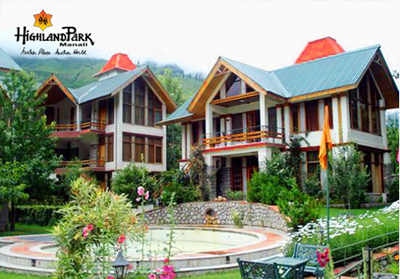 Highland Park is a 4 star property situated on the banks of the river Beas, offering charming scenic view. 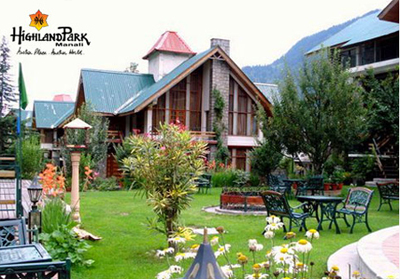 The eco friendly environment sets a perfect base for a peaceful stay with unforgettable memories. Many facilities are here for both business and leisure travelers. 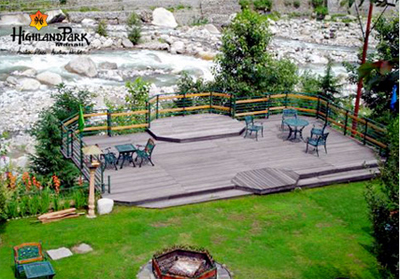 Guests can enjoy the bonfire barbeque along with river Beas to spend special evening with your loved ones. Unwind yourself with great pleasure at the illustrious area within the house, i.e. a discotheque with bar corner. For recreation guest can head to the on-site game centre or well-equipped fitness club. Formal meetings can take place in the conference hall with sitting capacity of 50 persons in theatre style. Business centre is also here equipped with state of the art technology to fulfill your professional needs. Start your day with freshly prepared buffet breakfast served every morning within the premises. On-site restaurant is here to pamper your taste buds with delectable dishes adding pinch of Himalayan flavors and International flavors too. Special Italian Pizza and Grill centre is here in a lush green lawn area to enjoy hot crispy snacks. 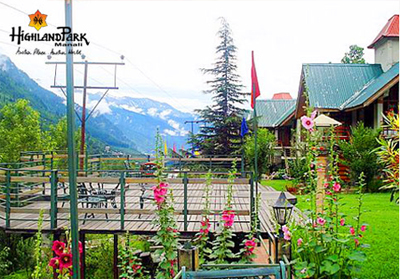 Rooms in the resort are designed in a cottage style facing river side and also commands panoramic view of the snow capped mountains. Every suite defines a modern level of comfort with the presence of all required amenities. Large windows, separate living area, private balconies and landscaped garden enhance the living standards. The Hotel offers stay in its 25 elegant cottage style accommodations featuring private balconies, landscaped gardens and large open air windows. 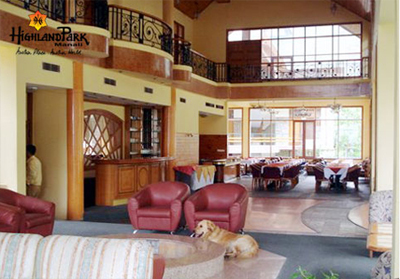 All these are designed with rich glass and wood ceilings/floors to give a warm and cozy ambience. It offers room in three different types so that guests can choose according to their need. 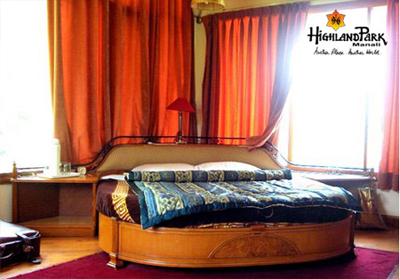 Amenities like TV, direct dial phone and tea/coffee maker are fitted in each room. En suite bathrooms come with essential toiletries.